I'm a big Word/Office suite user. How do I make the switch to a Chromebook? Can a Chromebook work with these files? What's does Google’s support for Chromebooks look like? If you are a business user, you have access to 24/7 email and phone support. If you’re a consumer user, you can contact a Chromebook ninja M - F between 5:30am - 7pm PST. Here’s some additional information. The moments when you’re offline are increasingly rare. But with Chromebooks, we wanted to ensure that you're constantly connected with WiFi or 3G. Chrome also supports HTML5 offline functionality that allows applications or websites that support these features to run offline. Hundreds of apps in the Chrome Web Store today work offline like Gmail, Google Docs, Google Calendar, NY Times, Kindle, NPR, Angry Birds and more. Google Drive is going to be a core part of the Chromebook experience. We're building it to work seamlessly with your file manager and it will be coming very soon. Music is a huge part of our culture at Google, and I’m really excited that the music festival season is just getting started. If you were at Coachella (which we livestreamed on YouTube this year) or have plans to go to go to another festival, you're probably just as excited. Musicians, record labels, and music companies are using technology to do some amazing things, like producing on-stage holograms or experimenting with new online distribution models. It’s common for artists to launch their careers on YouTube, broadcast a performance on Google+ Hangouts, or connect with their fans using social media. But beyond the tech-coolness we hear a lot about, the music community is also taking advantage of technology behind the scenes - or rather, in the cloud - to develop their businesses. 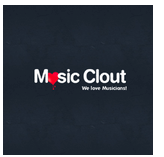 Music Clout is a startup formed by a group of guys with a die-hard passion for music. The idea is simple: create an online community that connects independent artists with music industry contacts and opportunities. They launched their company with Google Apps to make it easier to work together internally and with their team of contractors. Since their web development team works from Turkey, the combination of chat in Gmail and Hangouts allows them to instantly discuss website programming and other technicalities, while saving the team from high phone bills. 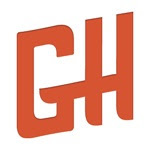 GHouse, a Boston-based record label, works with musicians from various genres, including electronic, reggae, rock, and country. Beginning as a side project by a college music student, it’s evolved into a full-time business. Initially, the team relied on a remote server and legacy software that were always stalling or crashing on them. They switched to Google Apps so that they could easily work together anytime, anywhere online, and on any device with Internet connectivity. With Google Docs, the team can easily share music tour dates and track all of their profits from the shows. Founded in 2007, Fly South Music Group is an artist management firm out of Orlando, FL with satellite offices in Nashville and Los Angeles. The company set up Google Apps because it wanted a common platform for company email, calendars and documents that could be shared between all their clients, families, labels, tour managers and promotion coordinators. Today, it’s become essential to their workflow from scheduling to budget management with access to information from anywhere. This accessibility provides a whole new layer of transparency that keeps everyone in sync, especially while traveling around the world. Google Apps has given these companies the built-in collaboration they need to communicate better, work smarter, and stay focused on bringing new talent and fresh ideas to the music industry. There are about 9,000 community curbside recycling programs and 3,000 community composting programs in the United States. I’ve been recycling since I moved to California in the 90's, and in the U.S. we’re lucky that many communities have recycling and composting services. But there’s still more to be done – we only recycle or compost 33% of the 243 million tons of trash generated each year. I’m encouraged to hear about some of the cool ways that people and organizations are coming together to re-think how we can recycle, reduce, and reuse. In honor of Earth Day, we’d like to share the stories of three organizations that take recycling to the next level, using Google products to help. Andrew Sell started out as a personal hunter/gatherer of “upcycled” products. There are a lot of companies that manufacture recycled products by recovering difficult-to-recycle materials from landfills and turning them into useful items, and the market continues to grow. Recognizing a need to connect the growing number of manufacturers with consumers, Andrew created an e-commerce website, HipCycle, almost a year ago in Ocean Township, New Jersey with the budget of a typical startup. Andrew, or Chief Hipcycler, chose to manage his new company with Google Apps due to low costs, ease of set up, and the ability to provide custom email addresses @hipcycle.comto employees, contractors and bloggers. HipCycle also uses Google Docs to track order statistics and share them with manufacturers, Google Calendar to keep the social media team aligned on topics and timing, and Google+ Hangouts to communicate directly with customers. Google Analytics provides data on site traffic and activity. Not far away in Brooklyn, New York, Eva Radke identified another opportunity to eliminate needless waste. Having spent 15 years working in film, Eva saw two trends: a growing amount of waste and a general desire for environmental responsibility in the industry. After film shoots, large, awkward items like furniture are brought to landfills and Eva became passionate about finding a better way to use the waste. In 2008 Eva’s passion became a full-time non-profit organization that collects waste from the film industry and sells or donates the goods to students and partner charities. For example, a women’s shelter receives bedsheets and towels from Film Biz, allowing them to free up their non-profit dollars to spend on education and therapy for its residents. Eva says she doesn’t know where she’d be without Google Apps. Since day one, she’s been using Gmail to stay up-to-date while traveling and Calendar to schedule everything from set clean-outs to school trips to donation drop-offs. Google Docs allows her team to edit documents together and they rarely need to use paper, which helps them stay even more green. As the name would indicate, Cell Again buys and sells used mobile phones. With the rapid proliferation of mobile devices - and trend of consumers purchasing new phones every couple of years - there’s a seemingly endless quantity of second-hand cell phones. Tucker Nielson wanted to keep these phones out of landfills so he started CellAgain with just a few employees in Salt Lake City. The company has been so successful that there are now eight stores and 87 employees, which he expects to double this year. With rapid company expansion plus growing franchise and wholesale operations, Tucker says that Google Apps has been his savior in terms of staying organized. Tucker set up Google Apps for CellAgain.com on his own and uses Gmail to stay connected to his management team from his own cell phone. He also hosts nearly everything in Google Docs, including company manuals, shift schedules, timesheets, job descriptions and more. And Google AdWords helps CellAgain make sure that consumers looking for a refurbished cell phone can find their local franchise or kiosk. Each of these companies help keep environmental impact low and Google is working to do its part as well. We’re a carbon neutral company, and Google Apps (and all the products in our cloud) have a "net zero" impact on the environment. one video can launch a business. To celebrate a growing number of businesses that have grown with YouTube, we are introducing our first-ever class of YouTube Marketing Ambassadors and making Google AdWords for video available to all. Our Ambassadors represent a group of 9 entrepreneurs who have used YouTube to “play big” alongside major brand advertisers. By creating videos that demonstrate their products, share what their customers say about them, or simply showcase how their business works, they’ve been able to drive sales and connect with new customers. Take Rokenbok Toy Company, for example. When owner Paul Eichen noticed that specialty toy shops were shuttering their doors, he started looking for a new way to introduce customers to his construction toy sets. Paul filmed and uploaded his first video to YouTube, and now it’s become his most effective form of advertising with 50 percent of all customers introduced to his products through YouTube. $50 million in free advertising. We’re giving away $50 million in free Google AdWords advertising to help more than 500,000 businesses get into video. If you are new to AdWords, you can receive a $75 credit when you sign up. To put that into context, with $75 your video campaign can reach more than 1,500 of your most valuable customers on YouTube for one month. Request your free credit here. YouTube Ambassador program. To learn more about the YouTube Ambassador program please visit us on the Official Google Blog. With a global audience of 800 million monthly visitors to YouTube, every day can feel like you’re advertising in the Super Bowl, and one video can launch a business. To celebrate a growing number of businesses that have grown with YouTube, we are introducing our first-ever class of YouTube Marketing Ambassadors and making Google AdWords for video available to all. Why spend time using social media? How do you attract new followers to your social media content? There’s no trick or gimmick. Post interesting, useful content. Be real, honest, genuine, open — and the followers will come! What kinds of content work? Don’t underestimate fun. Eye-catching rich media (photos, videos) are always engaging. Be mindful of time zones and when you’re sharing (do you usually get more engagement in the morning, at night?). Also, people love having a connection with you and your brand, which you can do with something as simple as highlighting or resharing content by a customer. Why is identifying influencers important? Whatever your area of expertise, research who's producing great content and starting conversations among that field’s community. Find out what your customers are interested in and get involved in those conversations. Figure out who the people are that drive those conversations and build relationships with them. Connect your customers to other customers when you can — engaging them with each other will help them learn more and engage more with your product and brand. The stream of social media content being produced every minute is infinite, so again, be sure to focus on your goals. Ask yourself what is most important for you to do first and start there, rather than trying to do everything at once. Be sure to join us for next week’s Hangout at 11 a.m. PDT Wednesday April 25, when we discuss how to get started with Chromebooks. We’ll be collecting your Chromebook questions early next week on the Google+ Your Business page. - manipulating people’s trust to gain confidential information. Phishing is a type of social engineering that can also be targeted towards businesses. We recommend you educate yourself and your employees to safeguard against this threat. Phishing is a technique used to obtain personal information. The most common way a phisher obtains this information is through a spam email which appears to come from a legitimate source (e.g. a bank, a credit card company) requesting certain action to be taken. The email will usually have a link which will lead to a fraudulent web page and may have a form requesting you to enter personal information. What many small businesses don’t realise is that phishing can happen over the phone, too (called ‘vishing’). In this type of scam the ‘phisher’ will try and get the information they want over the phone by making some kind of false claim (e.g. your IT department has requested you update your security software). Once the caller has gained the consumer's trust, they may ask the person on the phone to log onto a website to download a file to help solve the problem. The file may be infected with a virus which would give the Phisher access to your personal information. Once scammers have 'phished' out your information (or potentially even customer information), they could use it in a number of ways. Credit cards could be used for unauthorized purchases, or information might be gathered for an identity theft scam. As a Google product user, remember Google does not send emails asking you to update your personal information. We also never call customers asking for their passwords or requesting they download any programs. If you think you've received a phishing email that's trying to trick you into thinking it is from Google, don't reply to the email itself. Instead, report the phishing email to us. To add an extra layer of security to your Google account, you can enable 2-step verification (and see video below). You will enter a code from your phone, as well as your username and password - when you sign in. If someone steals login information through phishing or social engineering, the potential hijacker still won’t have access to your phone. For even more tips on keeping your business safe online, check out our Good to Know website. Last week we introduced you to the concept of Social Engineering - manipulating people’s trust to gain confidential information. Phishing is a type of social engineering that can also be targeted towards businesses. We recommend you educate yourself and your employees to safeguard against this threat.